When i did the booking, it was stated the total amount include taxes charges. When i paid at the reception (since i opt for pay upon arrival), the staff told me the SST is not included and i have to pay more. I didn't even get any receipt or bill for the payment i made including the deposit, even until i checked out they did not give any payment slip or so on. I didn't get to ask for it because after i returned they key and they returned the deposit, they straight away do their own thing, ie having breakfast (i checked out early morning). This was my second stay at the hotel and Agoda please take note 1. SST is NOT INCLUDE in the room rates that I paid via online. I have to paid the balance (SST) in the hotel. Hotel is okay but its has no lift. I am heavily pregnant (3rd trimester) and I have no choice but to get the room at the 3rd floor because this is where all rooms offer in Agoda. 1. There was a huge cockroach in the room! 2. The hotel didn't received my booking email upon my arrival. Agonda had charged in full amount with tax & fees as stated in the confirmation booking, but yet hotel still charged us again on the tax (SST) on the last day we checked out. Picked this hotel due to its convenient location, cheap price, and parking facilities. After a long 10 hours travel time, we checked in at 10pm. However, despite the booking stating 'extra large bed', we got only a queen bed. The room was quite large and the sheets and doona were comfy enough. However, the bed was hard and you can feel the springs poking up. We asked for an extra blanket which we used as an extra layer to make the bed a tad bit more comfortable. There are no lifts so you gotta carry your own bags up 3 levels (we were placed on the top floor right at the corner). If you're a light sleeper, DO NOT BOOK here as the noise level of the cars passing by all day and night will drive you insane! The curtains are also thin. So with two large windows, the room got bright really early. So don't expect to sleep in late either. We were out of there by 8am. 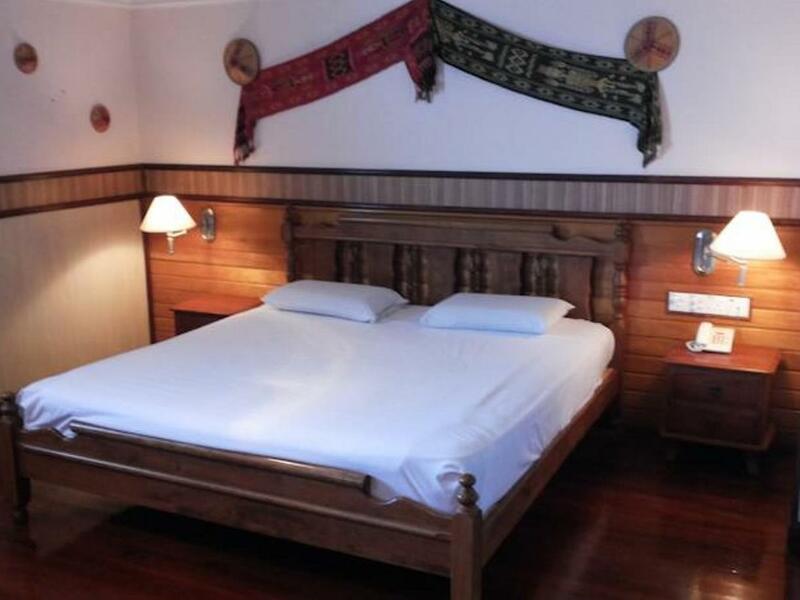 So, if you are after a cheap stay, can sleep on hard bed, and don't mind noise and bright light, this is the place for you! Everything is normal. Normal two star hotel. There is no lift if you are staying on the 3rd floor. Sometimea the hot water doesn't work. Overall is okay. This hotel is actually not bad. It has its own parking lot, which is GOOD! The room is quite big. we love it. They should renovate their hotel follow current trending style. The hotel style is quite outdated. But, we love it. Size of room exceed my expectation. It was large, same with its attached bathroom. Small table with two little chairs, big woody cabinet and dresser table are being provided that can be said as extra facilities that pleased the hotel guests. I chose the highest floor and the night view was good. No noisy sound and bed was comfy. Room smelly-smell of wet or undried clothes putting for days, not enough room lights. The location is near to a wet market open 24hours which you don't need to worry about foods. The parking is provided for the customers travel by car. We were staying there for 4nights during we visit our parents in kk. It's the 1st time we stayed at this hotel. The out look impression is consider not bad. It's a hotel with yard and fills with home kind of feel. The room is big but everything is old and the toilet leaking causing a odor smell. Flooring is carpet which it is not well maintained. The pillows are flat and we request to change but end up it's still the same. We had a bad experience stay for this hotel. Hope they will refurbish and provide better environment and services in the future. 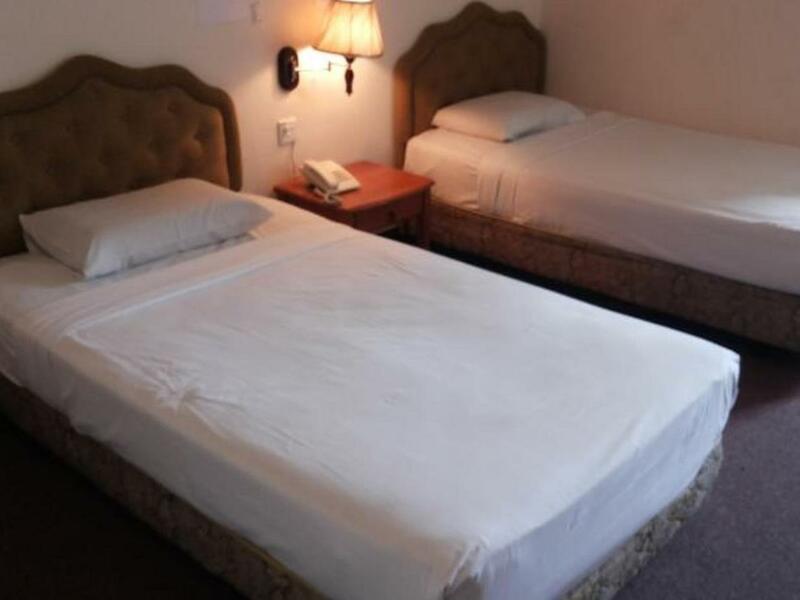 Tempah bilik superior kerana gambar menunjukkan bilik dilengkapi tab mandi. Semasa check-in diberi bilik level 1 tanpa tab mandi walaupun telah request sebelumnya. Receptionist maklumkan bilik telah diupgrade kerana bilik jenis superior berada di tingkat 3. 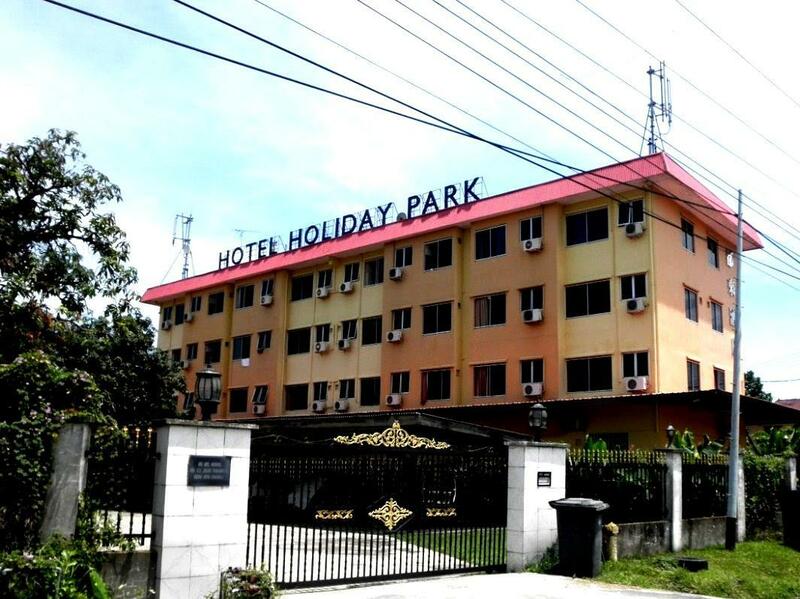 Saya terdetik untuk menempah hotel ini kerana lokasi yg berdekatan dengan tempat urusan saya dan sudah semestinya kerana tab mandi untuk anak kecil saya. Tetapi sehingga check out tiada tanda2 akan diberi bilik yang mempunyai tab mandi dan itu sangat2 mendukacitakan. Semasa masuk ke dalam bilik, ashtray yang terletak berdekatan dengan air botol mempunyai sisa gula getah(chewing gum) di dalamnya. Saya letak ashtray tersebut di bawah meja dengan harapan pada hari kedua semasa cleaner atang membersihkan bilik mereka akan bersihkan, tetapi rupa2nya mereka hanya sorokkan ashtray tersebut di dalam laci dressing table. Kami dtg bertiga tp tuala cuma diberi dua. Suami minta tambahan tuala di kaunter tetapi dimaklumkan tidak boleh diberikan.